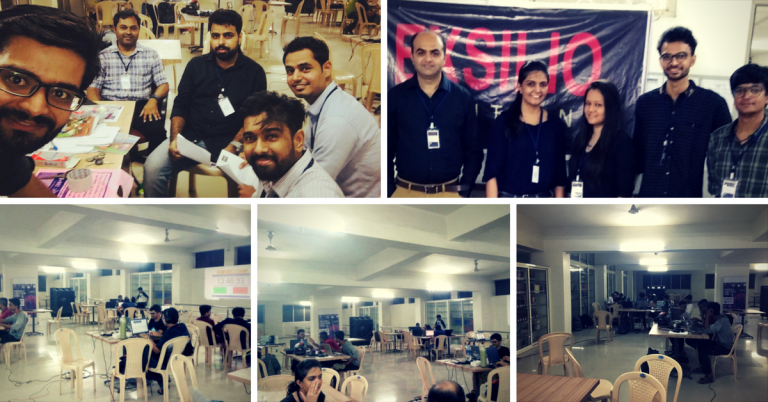 Exsilio put on its 1st international hack-a-thon event where teams competed to create the best technical solution for a fictitious client within 24 hours with the winner going home with the grand prize. 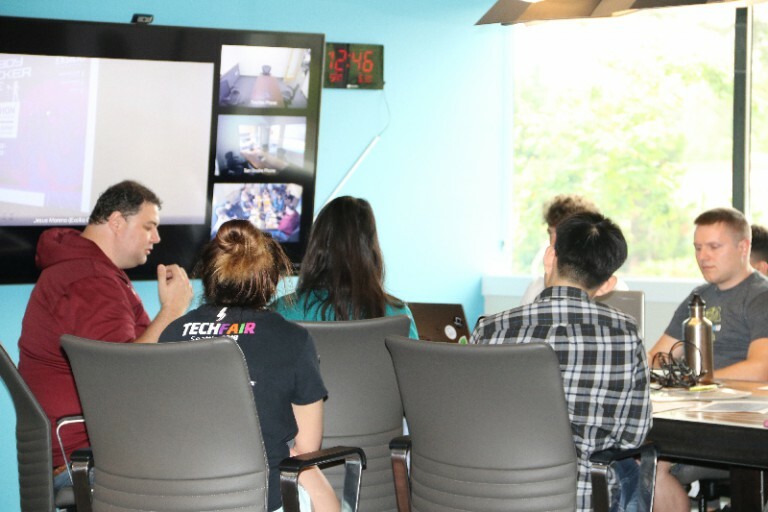 The event was held simultaneously in Redmond, Irvine, and Ahmedabad, India with the teams connecting via Skype. Prior to the introduction, everyone was encouraged to form a team of five to increase their chances of success. 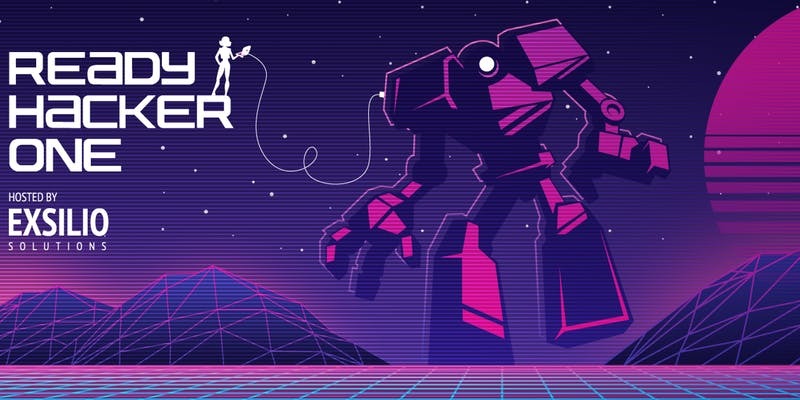 Shortly after this announcement alliances were forged and hackers were eager to sink their eyes on the business requirements documentation to get started. 1 PM – Tacos courtesy of Holé Molé are served for all to feast on! 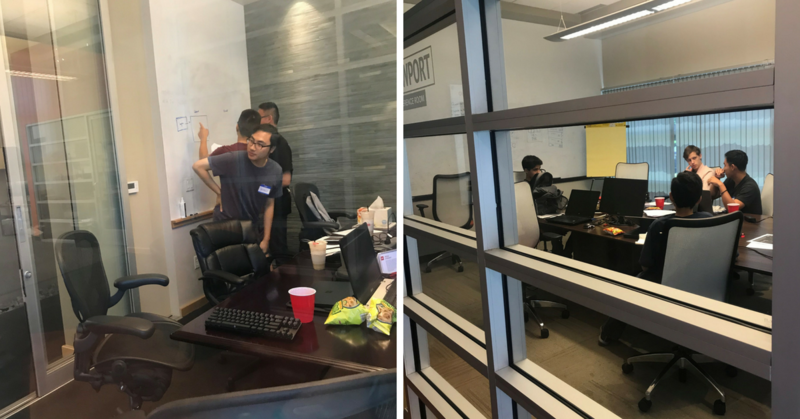 1PM to 6PM - All hackers were working to understand the business requirements and thoughts started to be drawn on the whiteboard. Each team was in critical thinking mode bouncing ideas back and forth. One team asked Jesus if MongoDB was better or MSSQL for the backend. Jesus being a fan of NoSql recommended they should go with MongoDB. 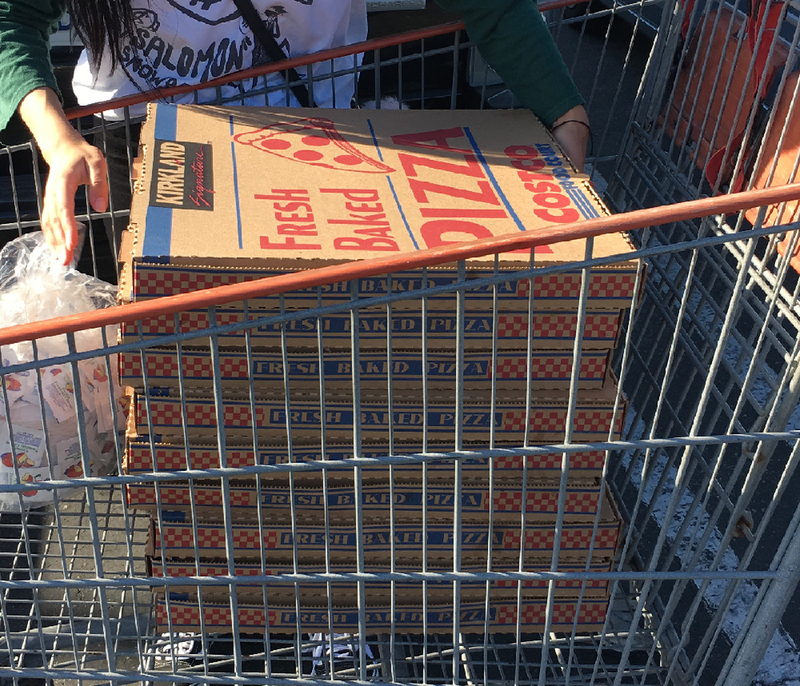 6 PM – Costco Pizza For The Win! 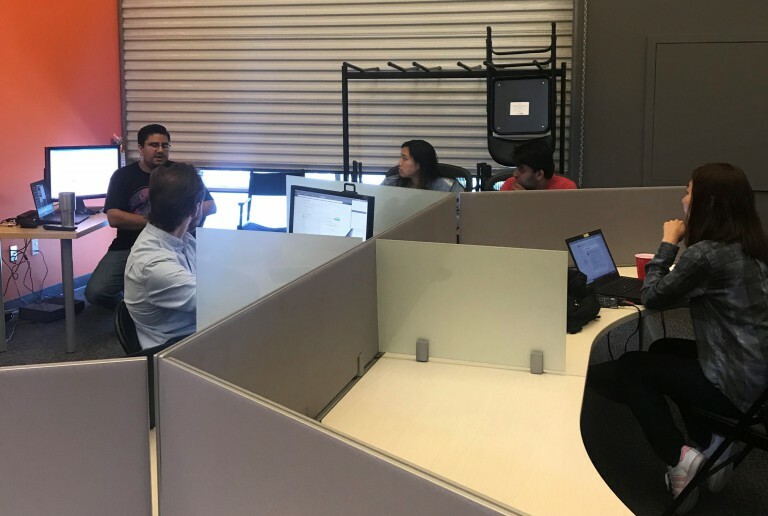 From 6PM to 12AM, at this point ideas were turning into lines of code and databases were being generated. It was at this point that the volunteers decided to settle in for the next 6 hours and bring in some entertainment. Thus games such as, Uno, Coup, and a puzzle were the main points of entertainment for the volunteers to keep their minds busy. If there is one thing the Volunteers had learned is that Uno has the potential to break friendships. Once this was realized then building a puzzle should fix that. Or so we thought. 10 PM – Coffeepot starts cranking out coffee for the remainder of the event. Code is already starting to be checked into the GitHub repos and stress level is starting to rise for the hackers as time is slowly chiseled away. Hackers slowly emerge from their respective battle caves to pick at some snacks but all start to seek the warmth and promise that coffee provides. At this point the volunteers are starting to lose their mind as they struggle to put together the 1000 piece puzzle. 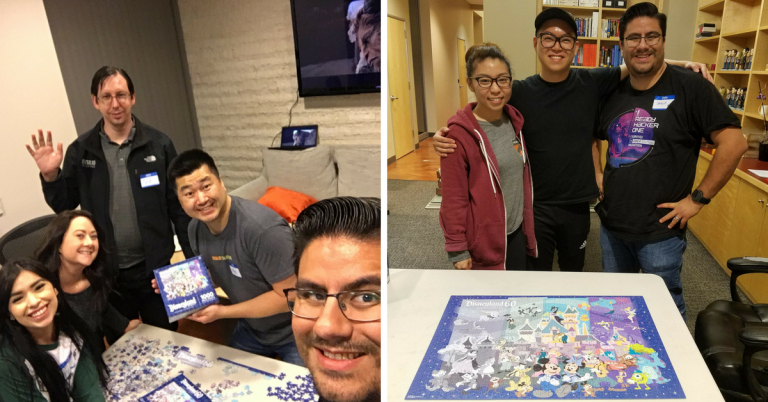 3:15 AM – We have successful completion of the 1000 piece puzzle! 4 AM – Body’s start to line the floor of the battle caves as teammates start to take turns napping. 7 AM – Sugarless donuts, a.k.a. bagels, are served! Teams start to rise from their nap to binge on coffee and fuel up on bagels. 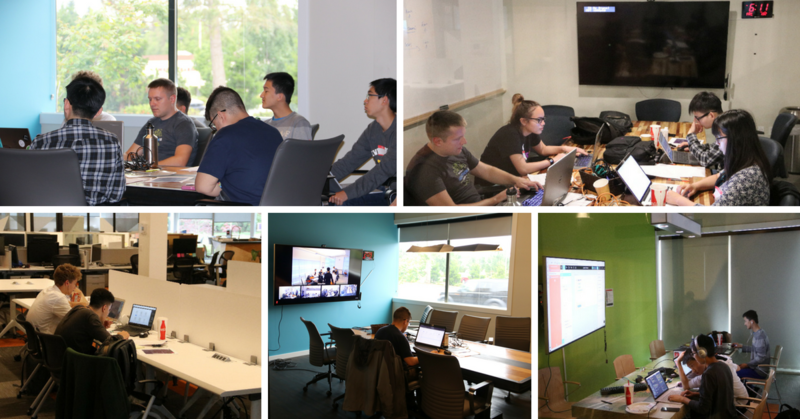 10 AM – All surviving teams are heads down hacking away. Most are running on fumes trying to keep logic and rest separate to complete the challenge. 12 PM – 30 minute warning! 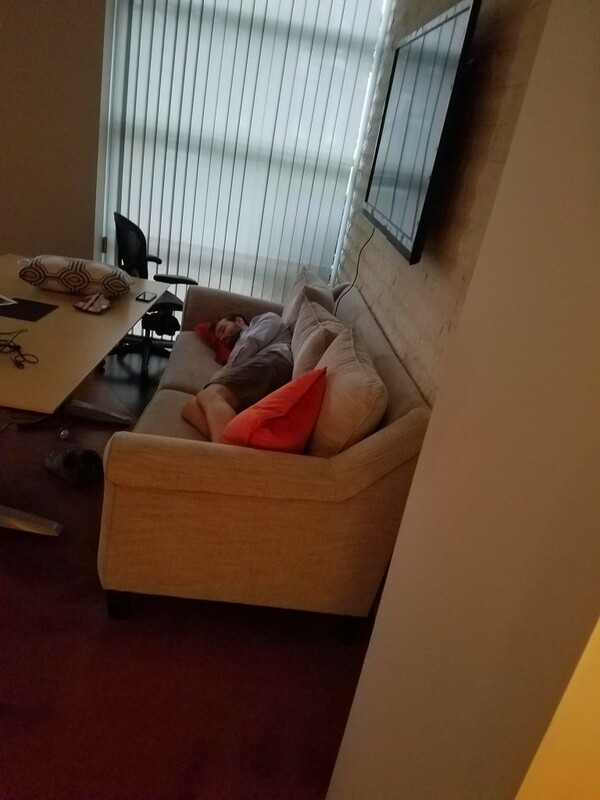 All devs are hurry to get code checked in. Last minute QA checks and fit and form checks. 12:30 PM – All code checked in from all surviving teams. At this point most teams have bloodshot eyes from the 24 hour battle. 1 PM – One team member from each group presents their solution to see how everyone stacks up against the other teams. 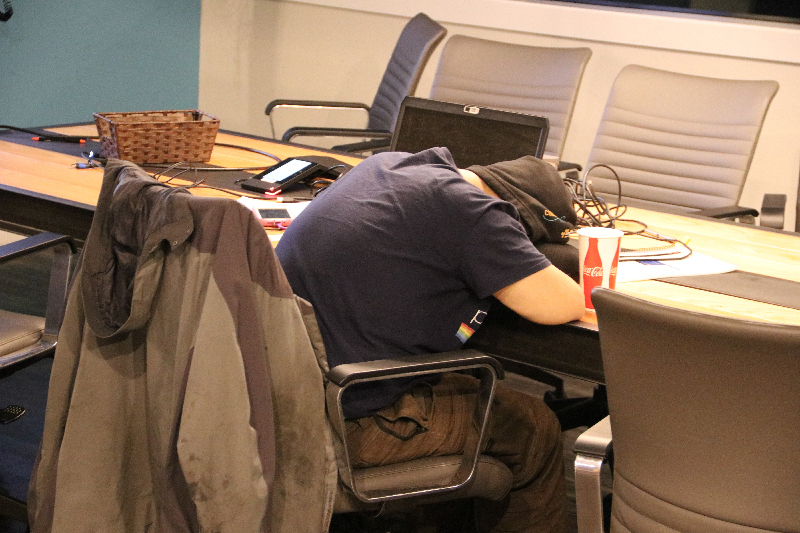 2 PM – End of Hackathon event and all hackers are headed home for their well-deserved slumber. And 2nd place went to Team Simba! 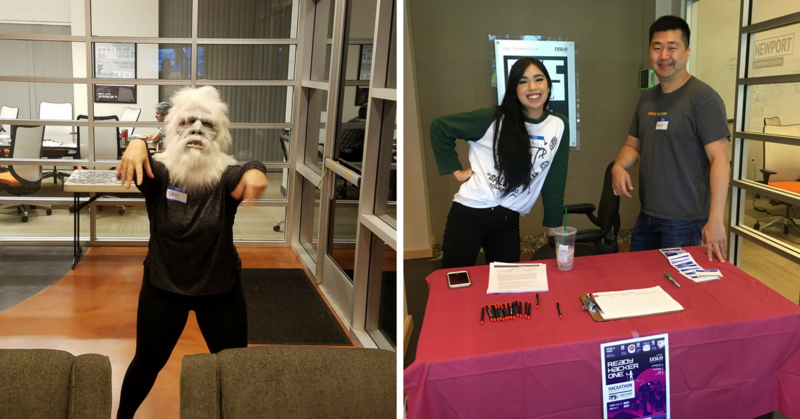 Our Hackathon event in Redmond, WA had its own share of highlights that we couldn't leave out! 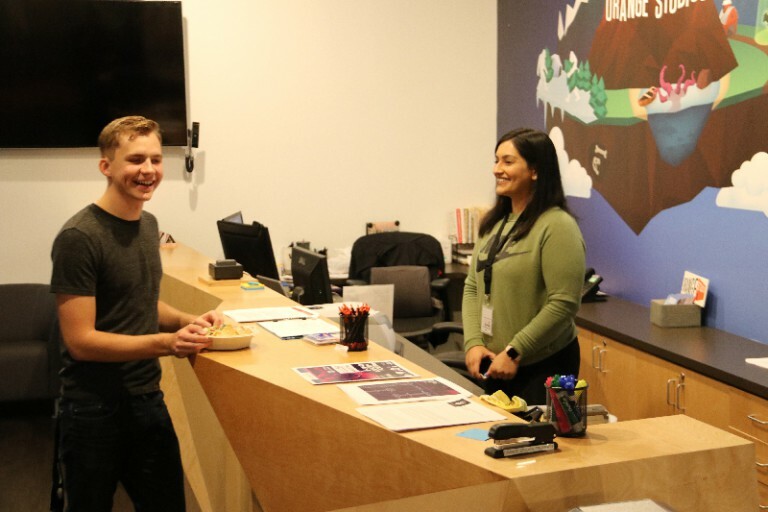 11am – 12:30pm: James checks in everybody and gathers them in St. Helens conf room. 12:30 – 1:15pm: Kickoff presentation by Jesus. Q&A by Jesus and James. 1:15 – 2pm: Teams form, everybody has lunch and gets down to work. 2pm – Sirisha and Neetu arrive. 2pm – 6pm: Working in groups – one group in each of our three conf rooms. A couple people ask James clarifying questions such as “Can we really not use PHP” and “does it all have to work for the demo”. 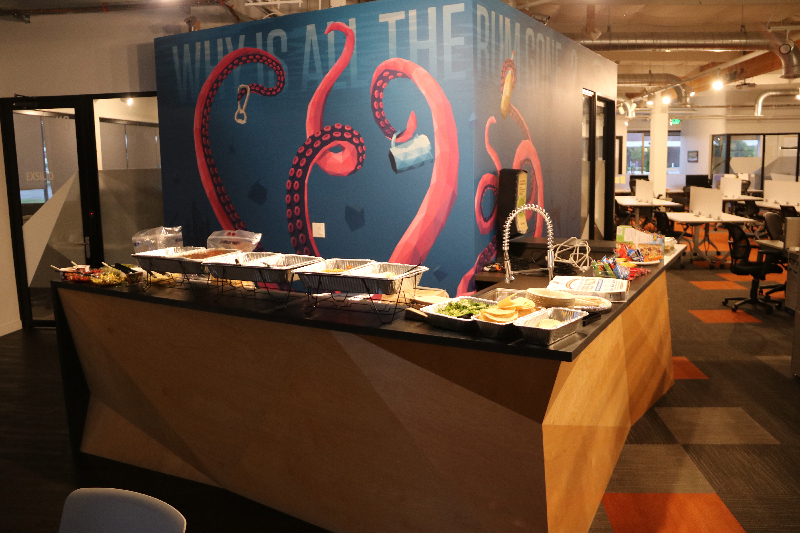 6pm – 8pm: Dinner is laid out (Qdoba) and people trickly by for 1sts and 2nds. Everybody eats with their team. 7pm – Sirisha leaves and Dylan arrives. 8pm – Midnight: teams continue to work. A few additional qualifying questions for James. Midnight – a couple people start napping in the alcove by St. Helens, but most work through the night. Midnight:30 - James serves veggie and fruit platter. Fruit disappears quickly. Midnight – 7am – James/Dylan hold down the fort. We work on the 3-D printer around 2am and definitively determine the extruder needs to be replaced. For the rest of the night, Dylan studies for Agile/PMP and James watches Mars videos and works on non-profit stuff. 7am – James gets donuts & bagels and brings back. Sirisha arrives and James/Dylan go home. 7am – 11am: Sirisha holds down the fort. 12:30pm: All teams informed to stop coding and prep for demo by James. 1pm-2pm: The three teams demo their work. All presentations are great. 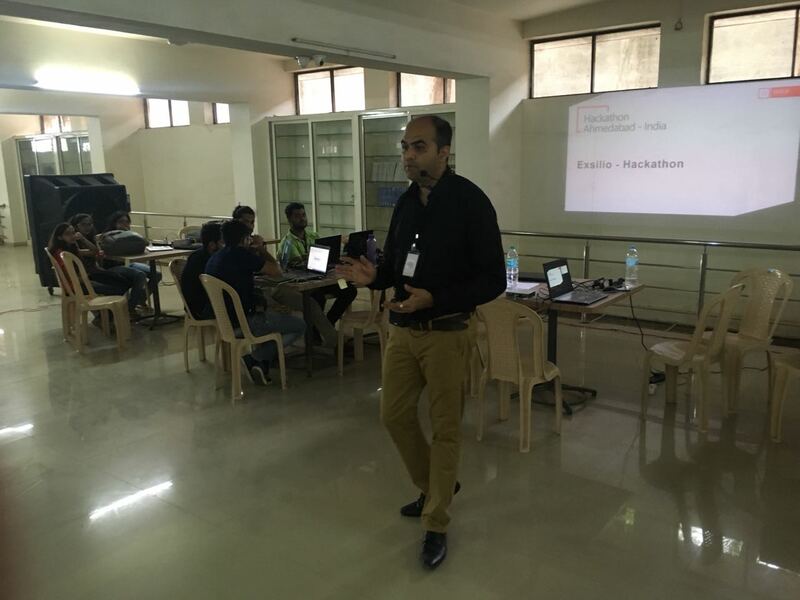 The Ready Hacker One Hack-a-thon event was the first event hosted by India office for Exsilio. It was indeed a unique concept for Gujarat territory. We received an overwhelming response from more than 100 people and approximately 80+ developers who wanted to participate. The final group was shortlisted to 45 participants. The event was hosted in the LJ Campus near Sarkhej. The campus staff truly helpful. On the event day 36 participants showed up – totaling 10 teams. The problem statement was shared and, with enthusiasm, the teams started to work. 8 out of 10 teams lasted the full 24 hours and completed the challenge. 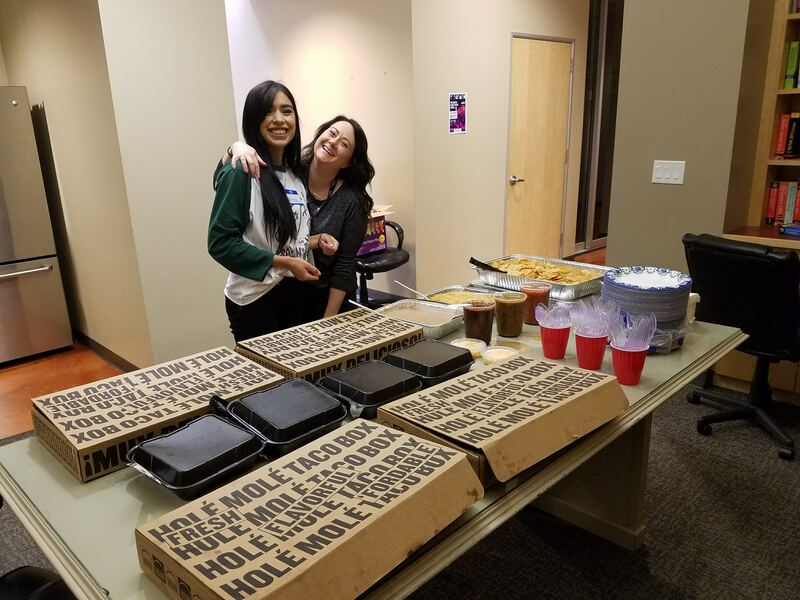 The event was concluded with a Pizza party – it only took 24 hours for the everyone gel in and from participants to coordinators we all were part of the Exsilio initiative now. Everyone congratulated each other for surviving the 24 hour coding competition. We indeed saw some excellent sportsmanship and healthy competition between the teams. Followed by the Pizza party was judging rounds where one by one each team demonstrated their work to judges. Each had passionately showcased their product and pitched their uniqueness. 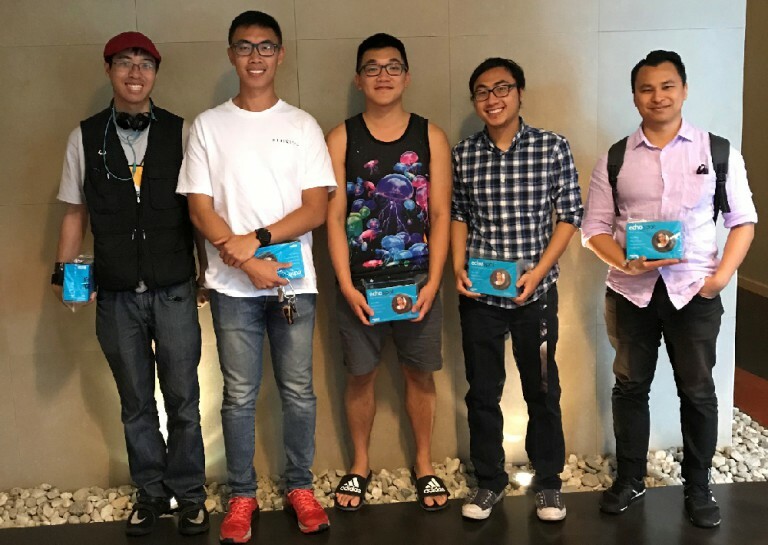 Finally, the results were announced – to everyone’s surprise two 17 and 19 years college students won the first prize with a huge margin. 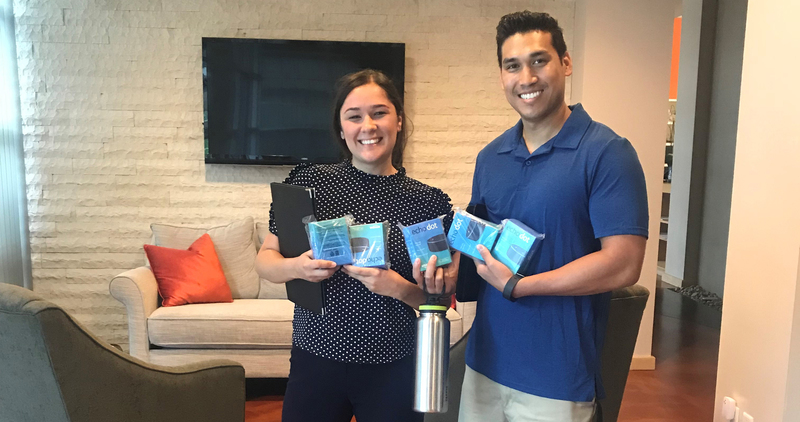 The two college students truly deserved the first prize for the product that they had built. At the end everyone applauded the efforts Exsilio's team had made to make this event successful. We received great feedback and a promise to return whenever we are reorganizing anything else. Overall, it was a great experience seeing all of the attendees work and come up with creative solutions for our challenge. 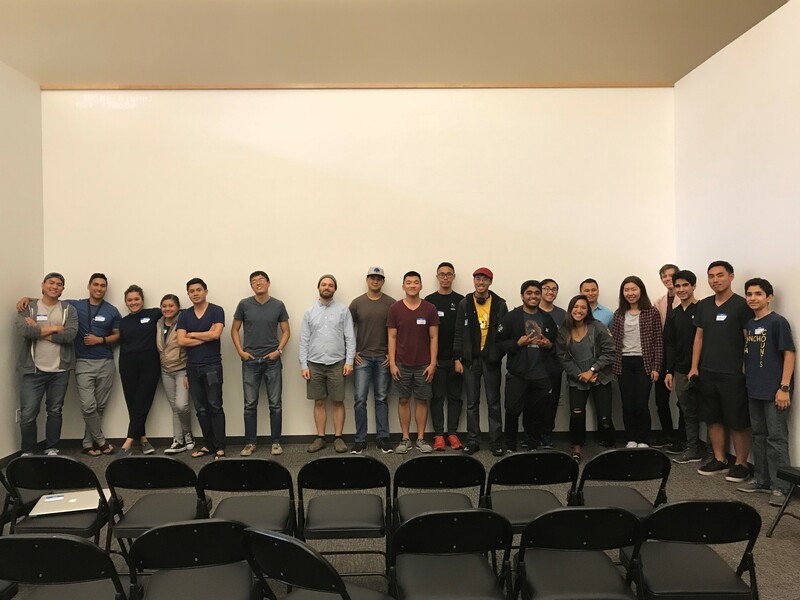 We hope to develop more events like this that provide spaces for developers to showcase and share their skills so stay tuned!